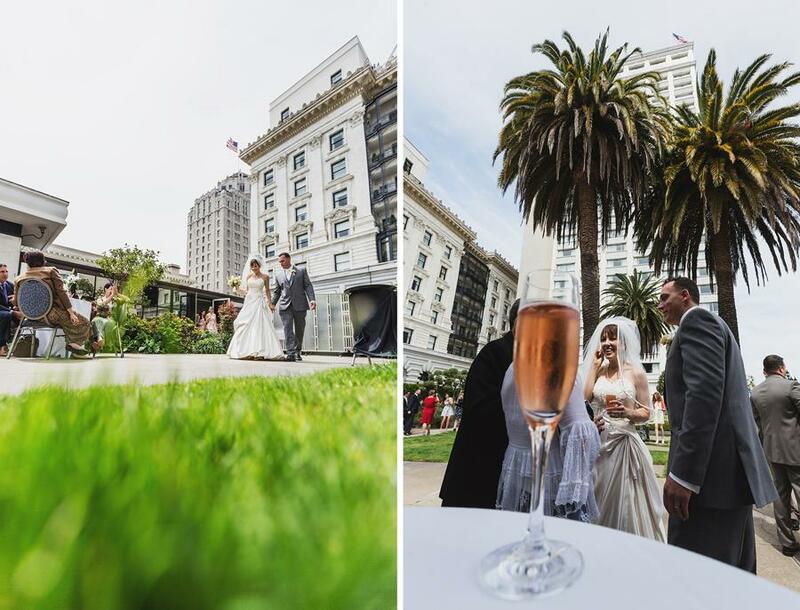 Leah and Justin planned a San Francisco classic: an SF City Hall 4th Floor wedding, and an elegant wedding reception at Fairmont Hotel. 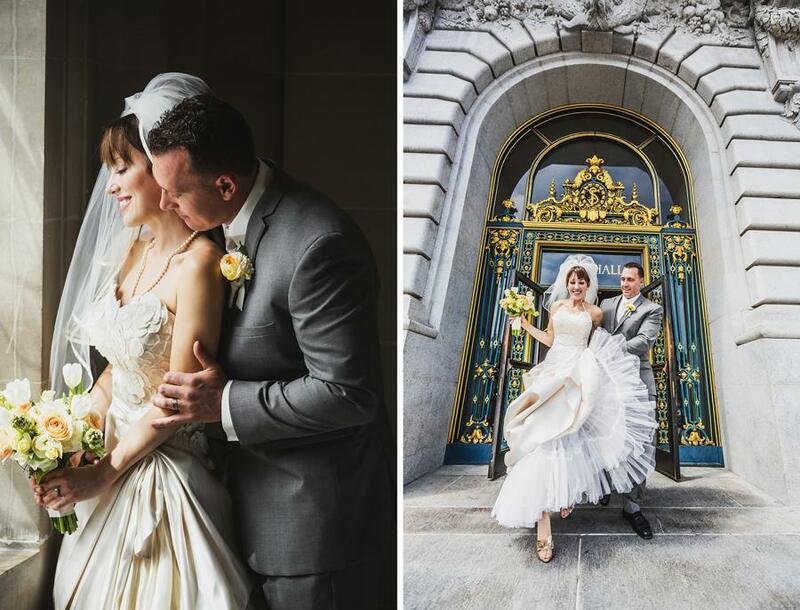 San Francisco is a very meaningful place for Leah, Justin and their families, so they wanted to craft a wedding day that embodied spirit of old SF. 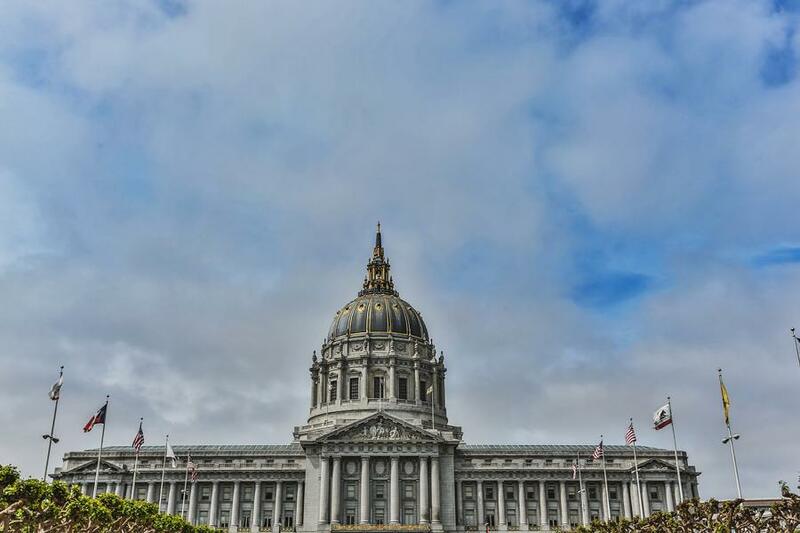 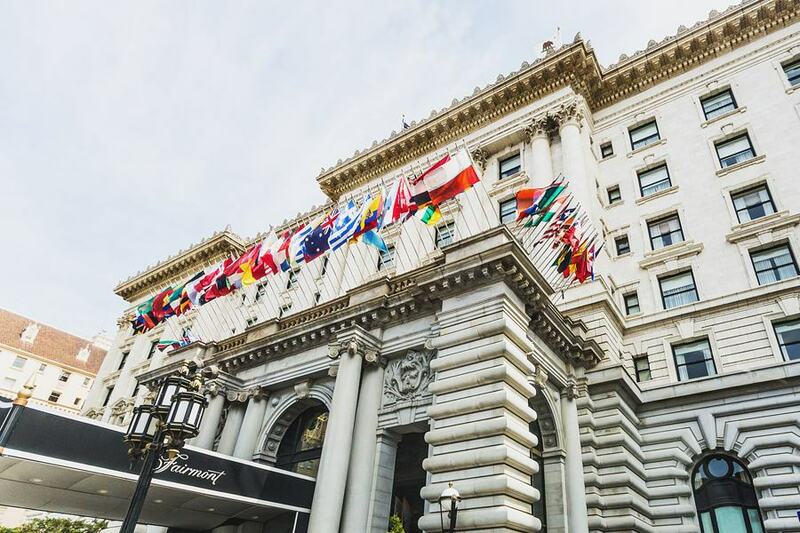 The iconic locations they chose were the SF City Hall 4th Floor wedding on the North Gallery, and their reception at the Pavilion Room of the Fairmont. 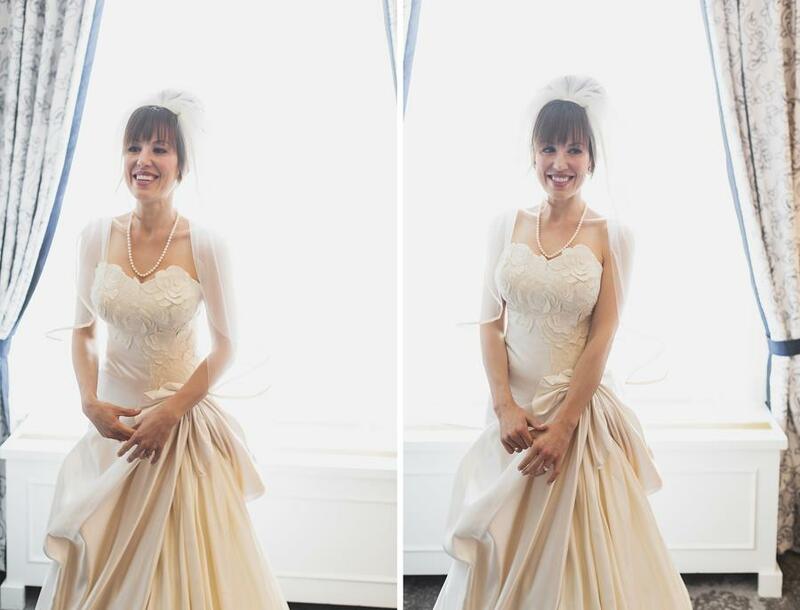 First, I came to the Fairmont to capture the finishing touches of Leah’s preparation in her room. 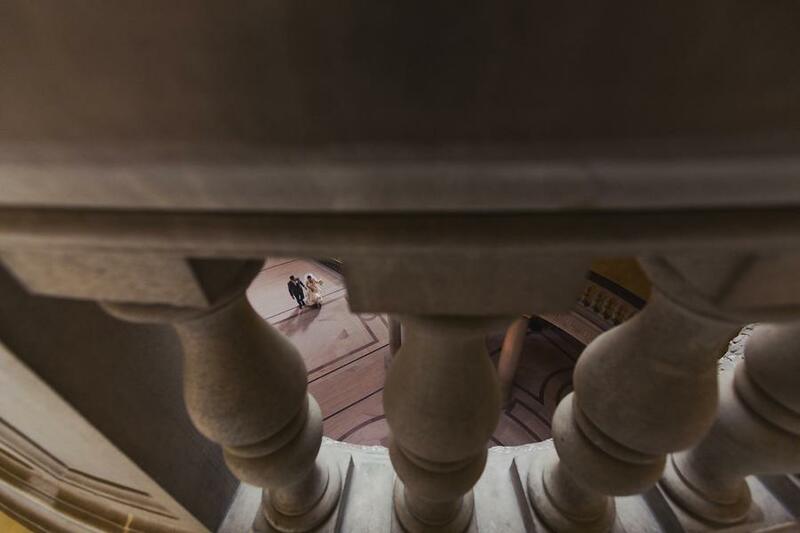 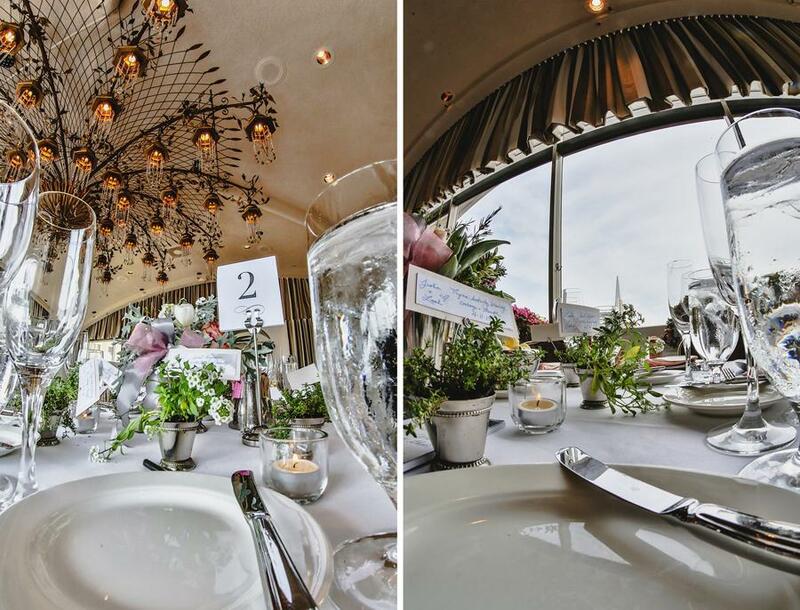 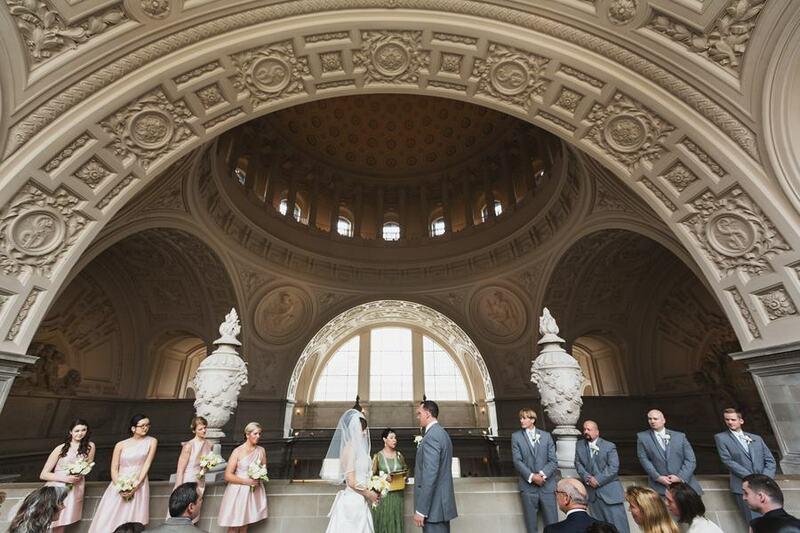 There are many options when choosing a City Hall space to host your wedding ceremony. 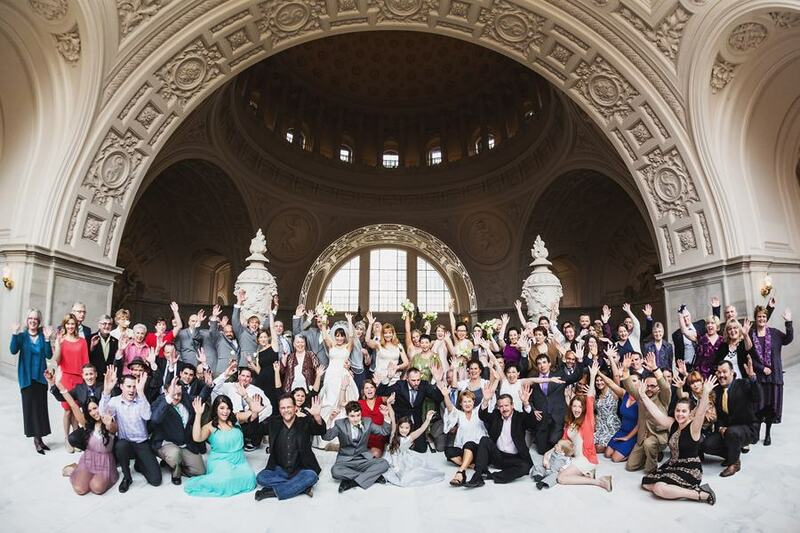 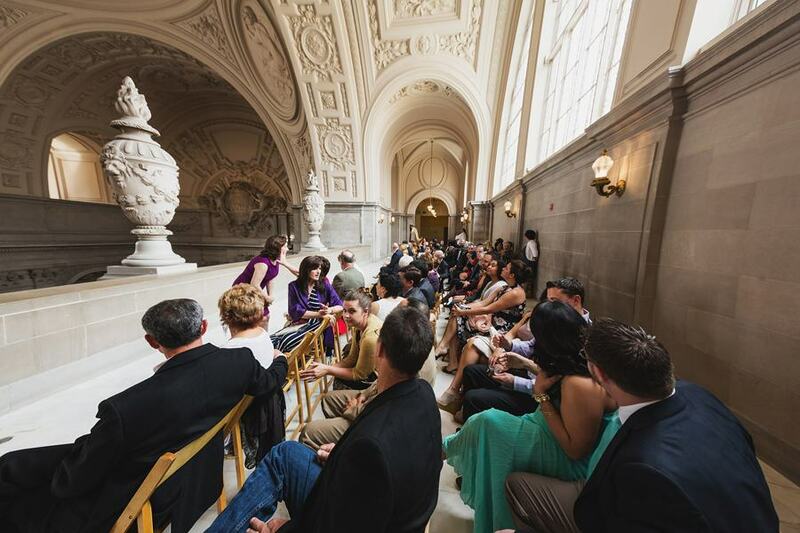 However, there’s a strong reason to choose the North Gallery for an SF City Hall 4th Floor wedding. 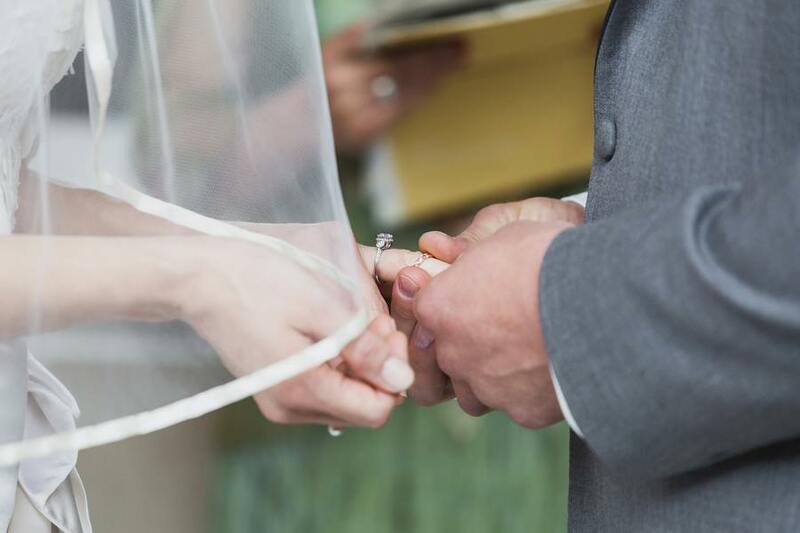 It’s not a surprise that this is the first option for many couples. 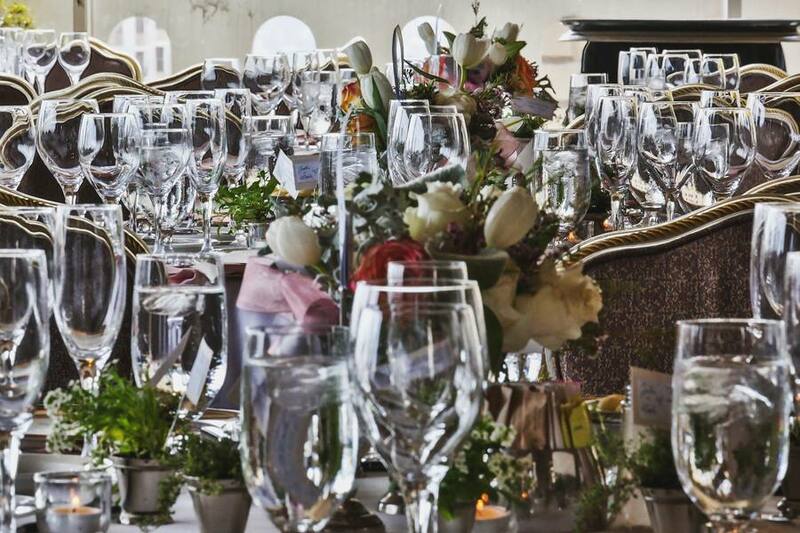 It accommodates up to 60 chairs, which means you can have a fairly large guest list. 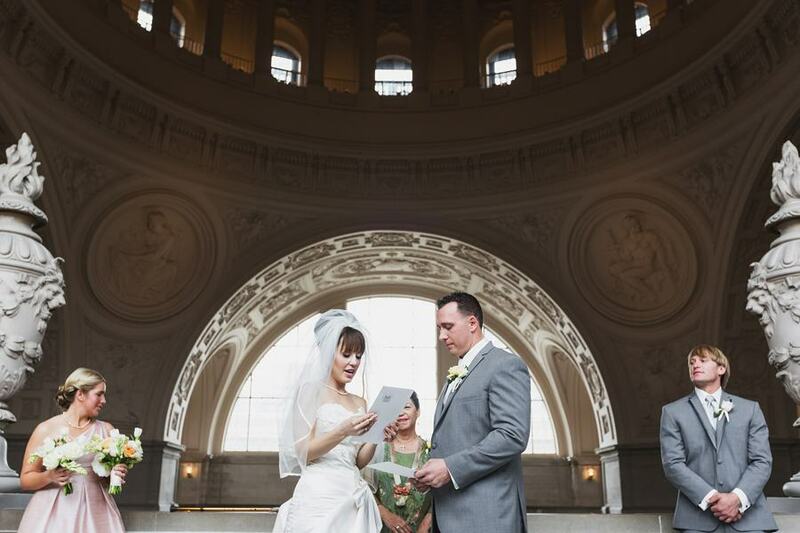 Diffused, natural light streams in through the big window. 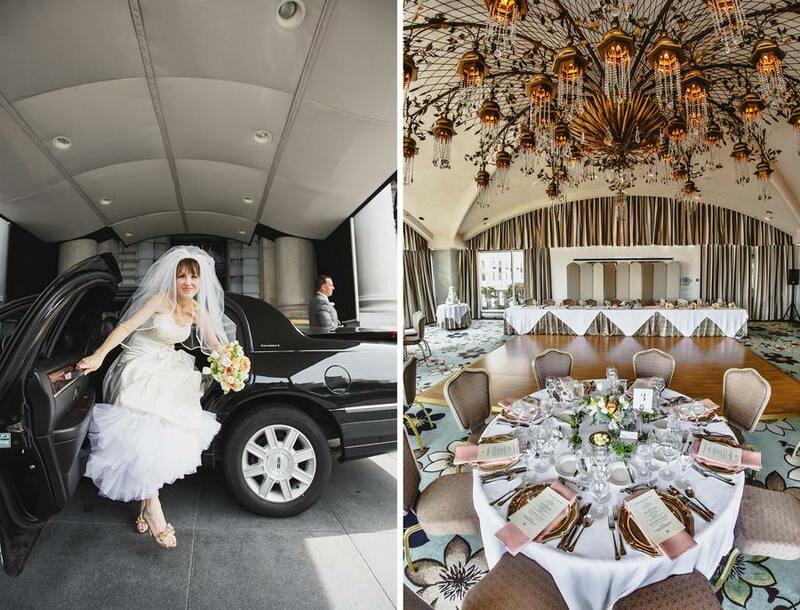 The space is secluded from the rest of the building, therefore tourists and passersby cannot disturb the wedding celebration. 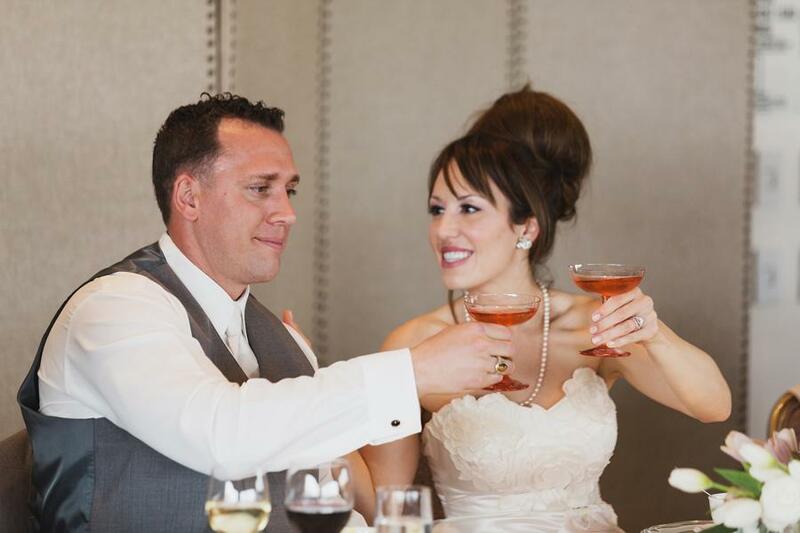 Leah and Justin wowed their guests with personal touches. 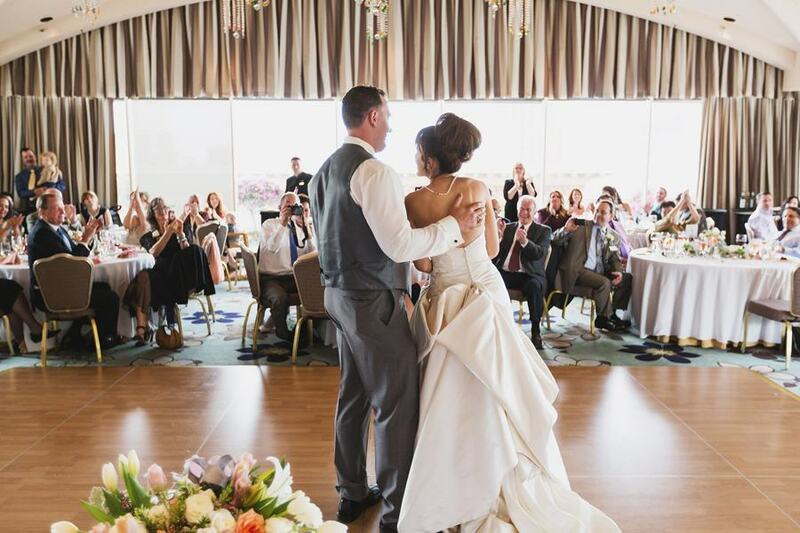 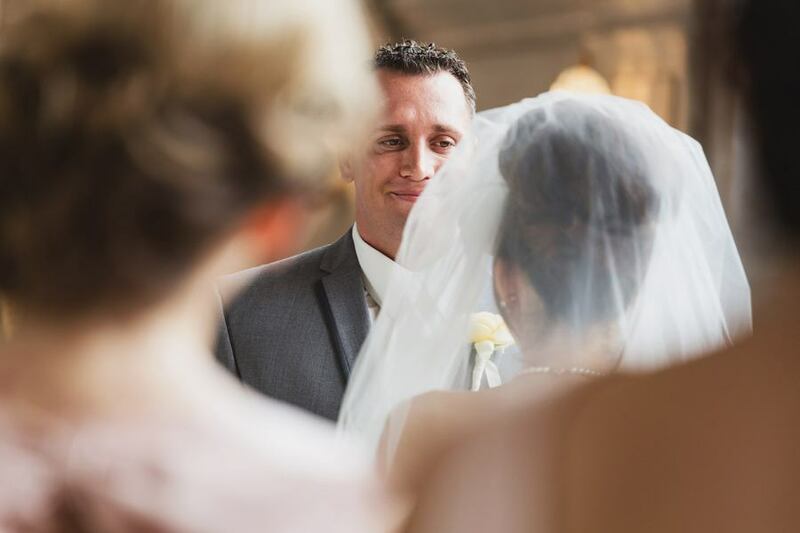 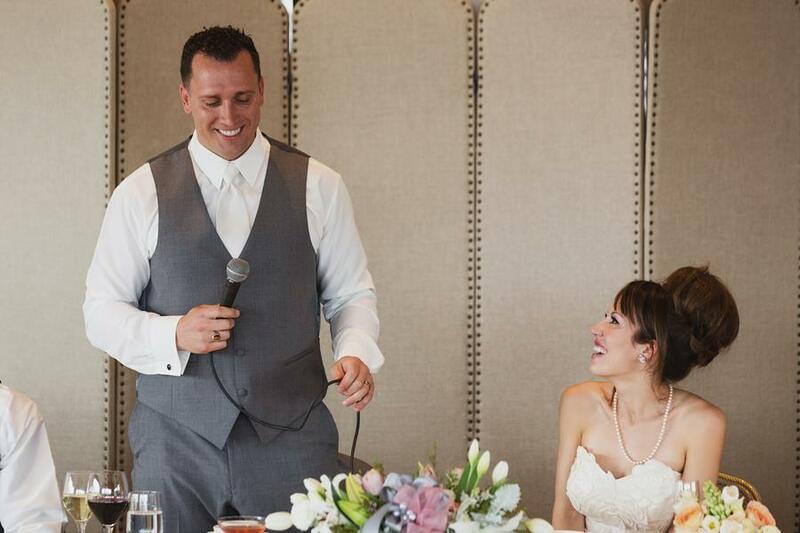 At the Fairmont, they surprised everyone with a beautifully-performed and unexpected first wedding dance. 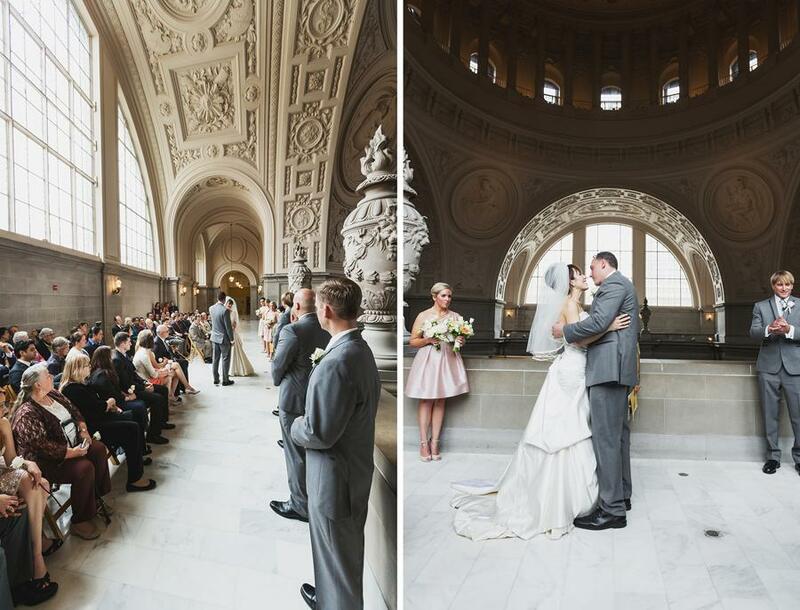 Surrounded by their adoring guests, the couple moved beneath the magnificent chandelier. 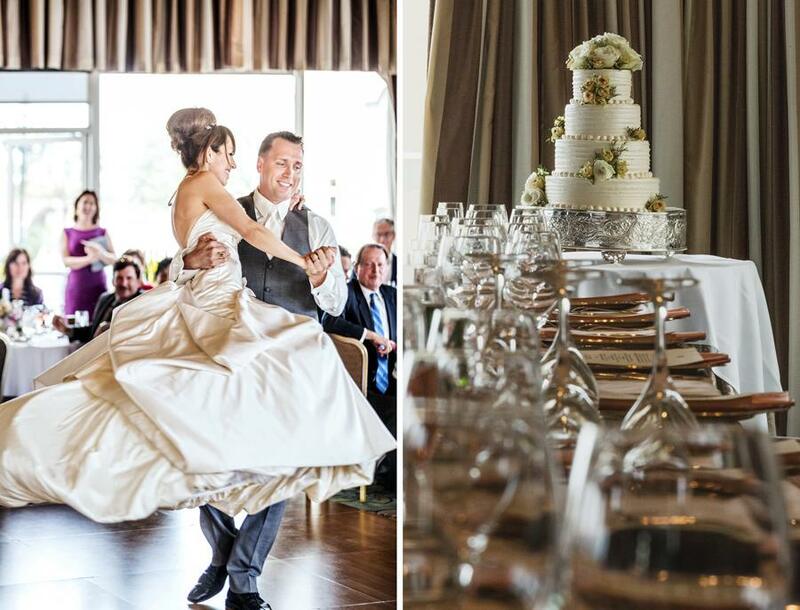 Suddenly, Justin literally swept Leah off her feet and spun her around, to the delight of everyone present. 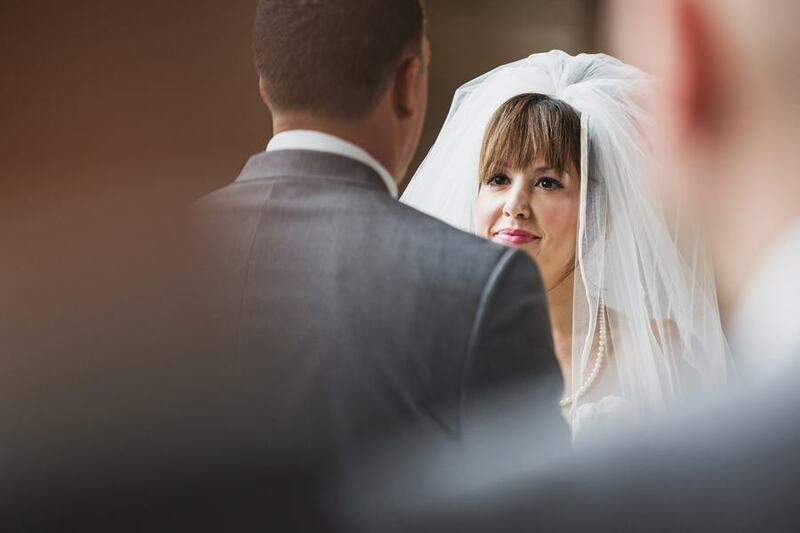 As I photographed it, I hoped that this first dance would be an omen of the serendipity and romance to come in their marriage. 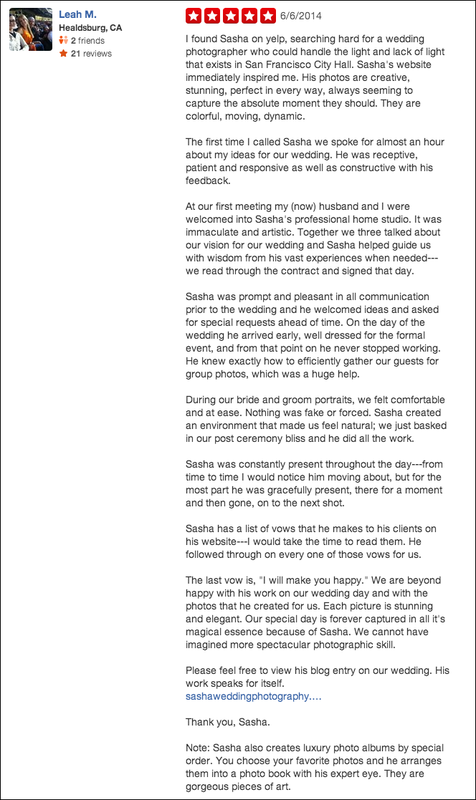 Congratulations to Justin and Leah on a gorgeous and memorable wedding day! 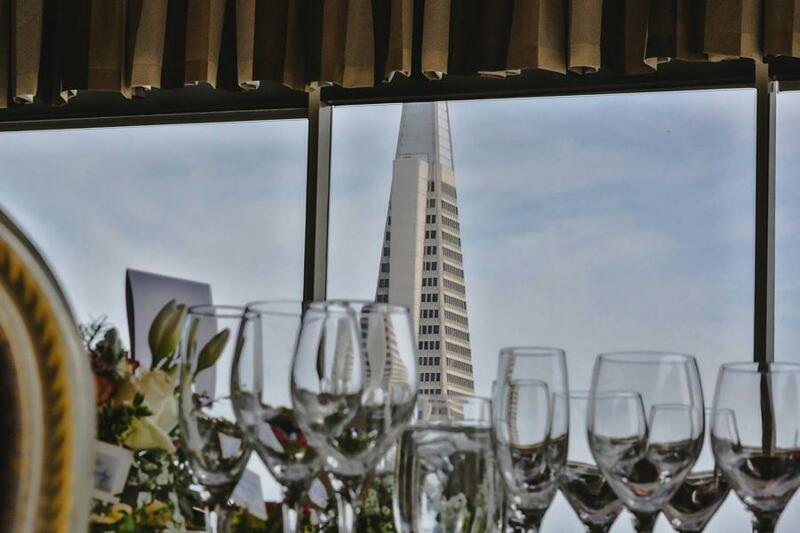 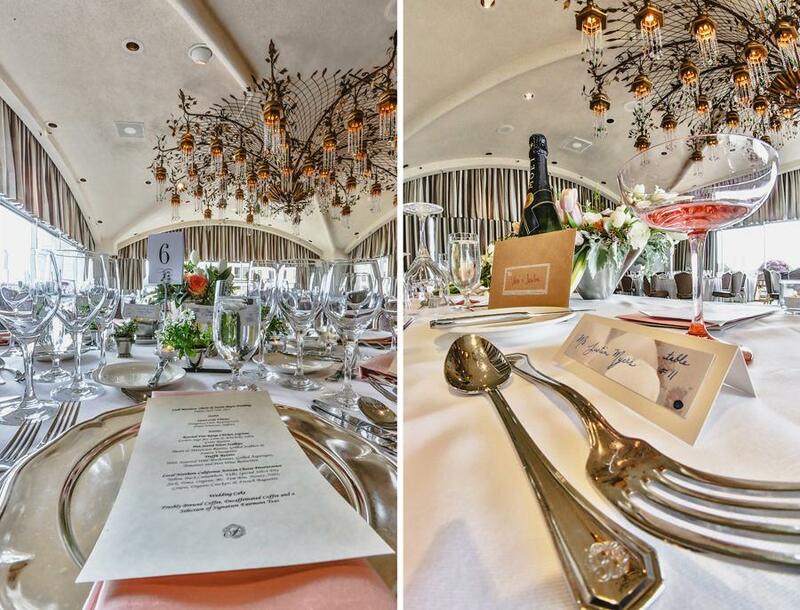 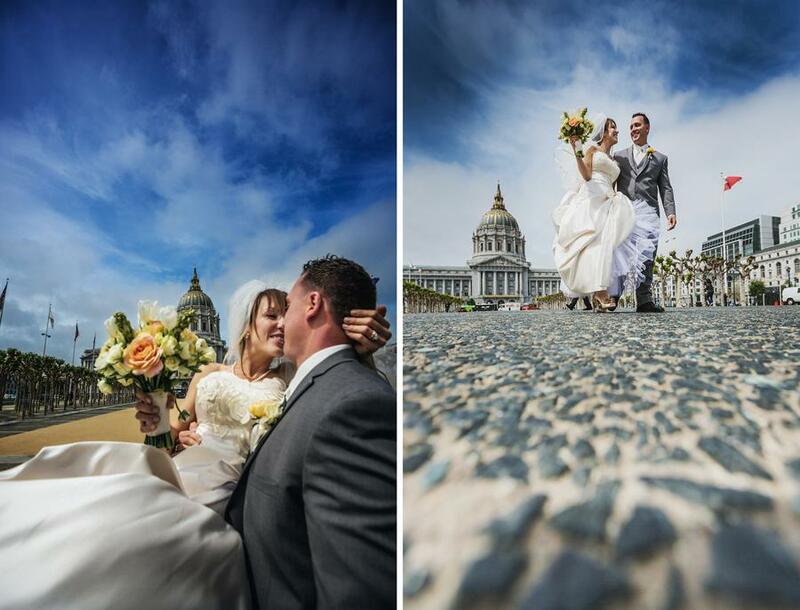 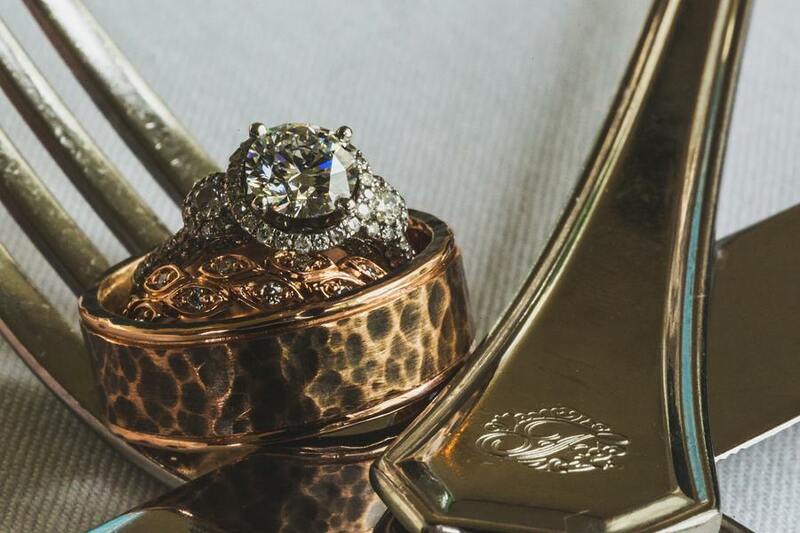 For couples looking to have an iconic San Francisco wedding celebration, Leah and Justin certainly set the bar high!